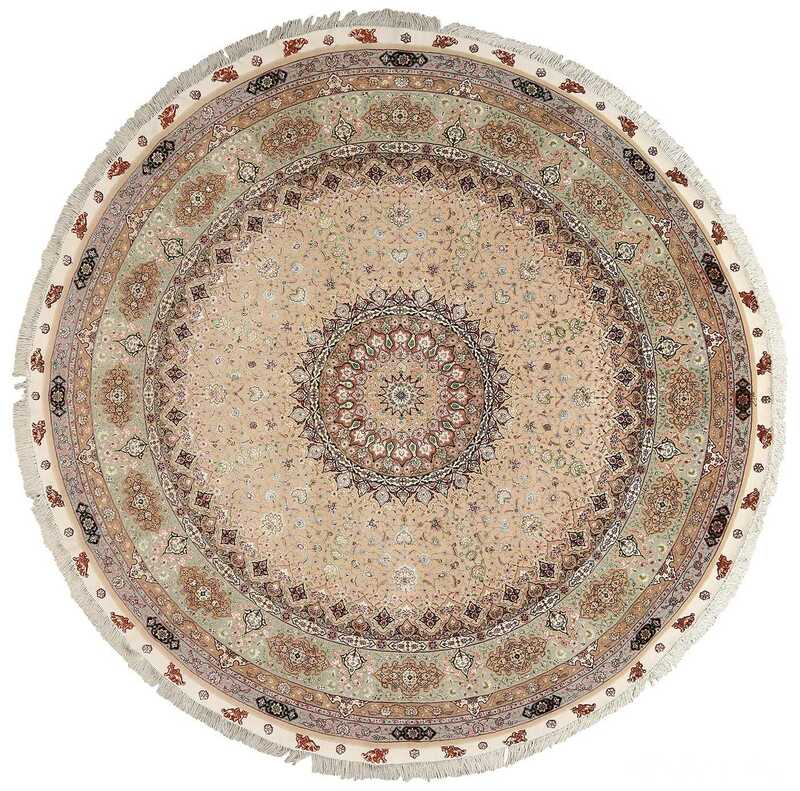 Beautiful Round Vintage Tabriz Persian Rug 51128 , Knots Per Square Inch KPSI: 500, Country of Origin / Rug Type: Vintage Persian Rug, Circa Date: Late 20th Century – Coffee and earthy tones dance against around other, creating a beautiful natural vision that defines all of the other elements within the vintage Persian Tabriz rug. 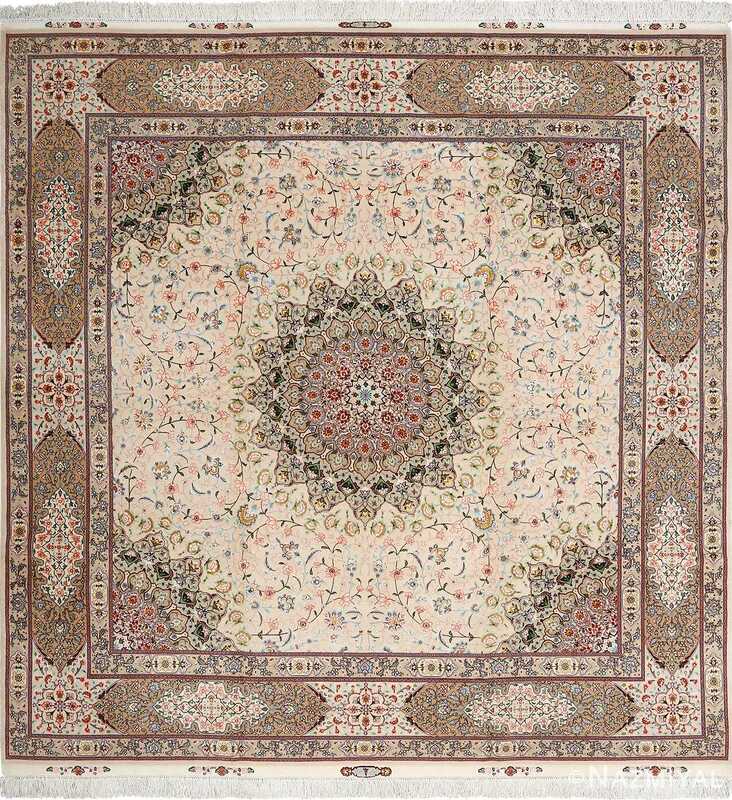 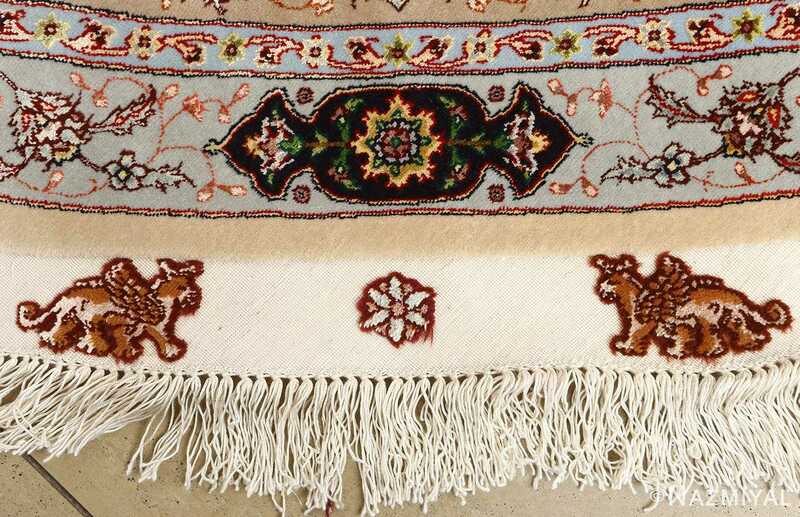 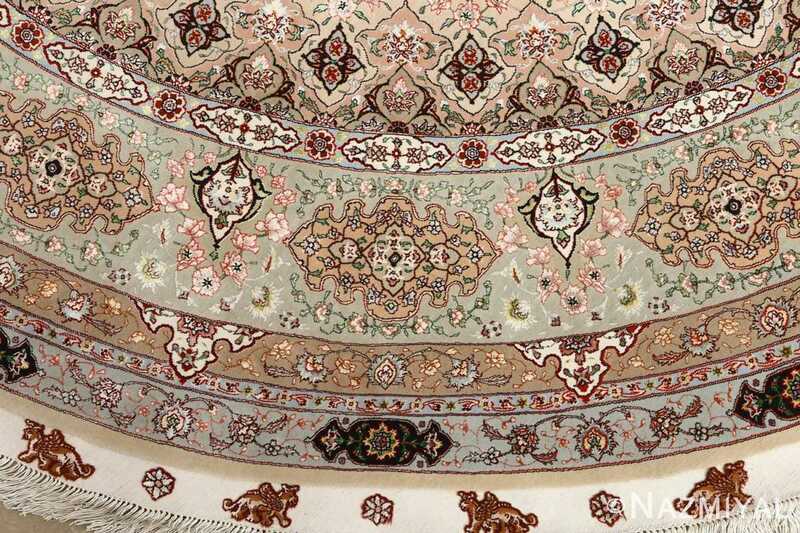 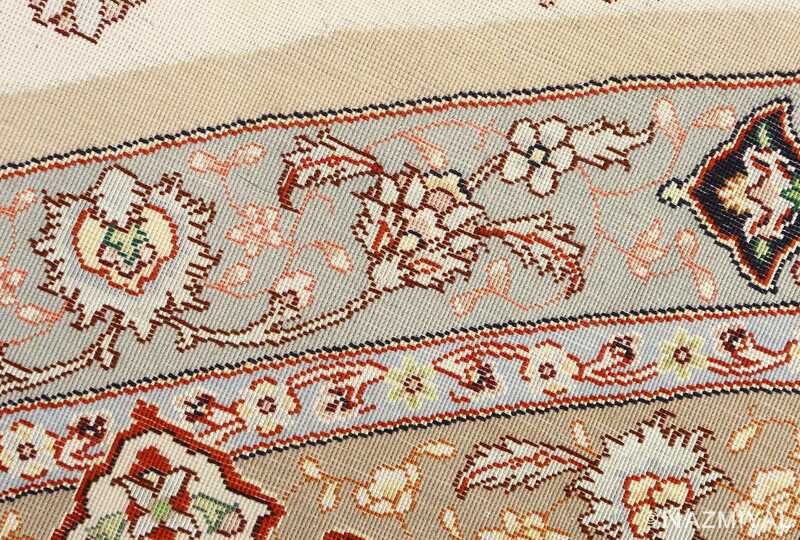 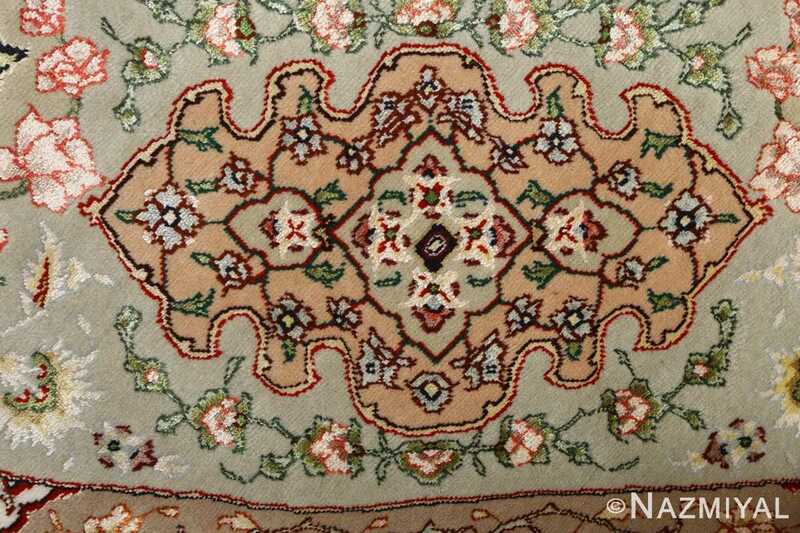 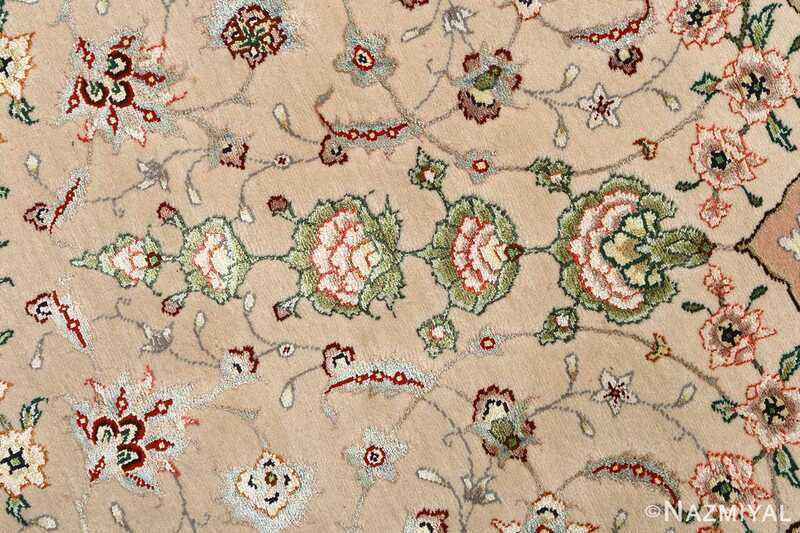 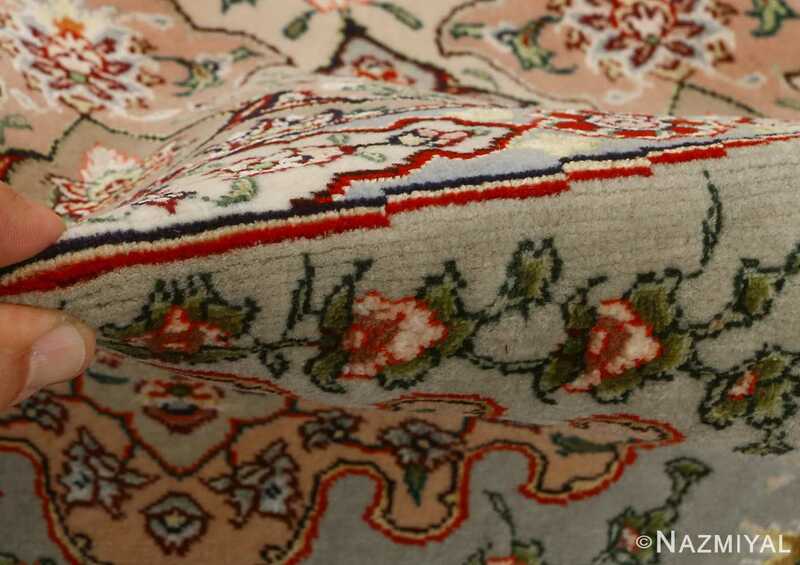 Several borders elegantly encircle around each other, leading the viewer’s attention around their warmth depths and further into the heart of the vintage Persian rug. 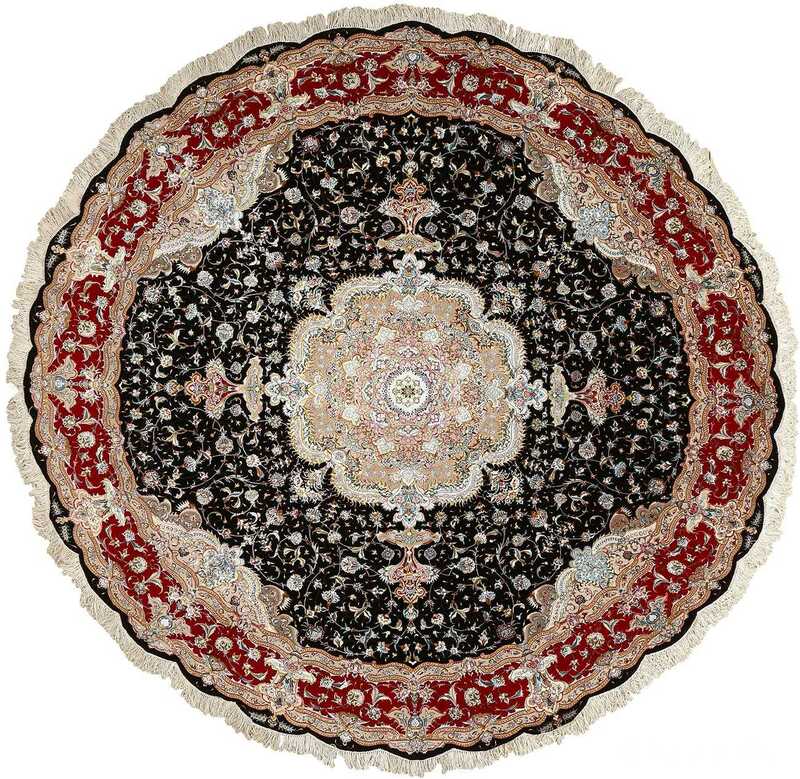 Each border’s framework contains a unique series of motifs, ranging in composition and concentration to provide the round rug with plenty of variety in terms of movement and form. 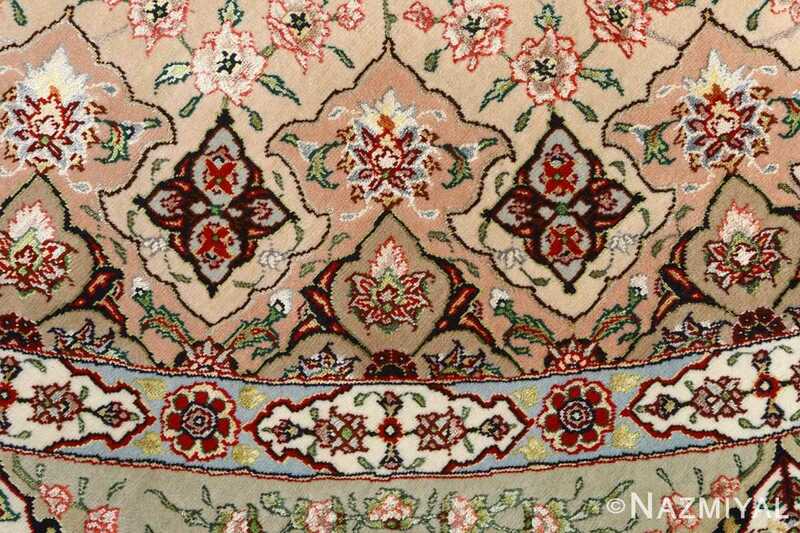 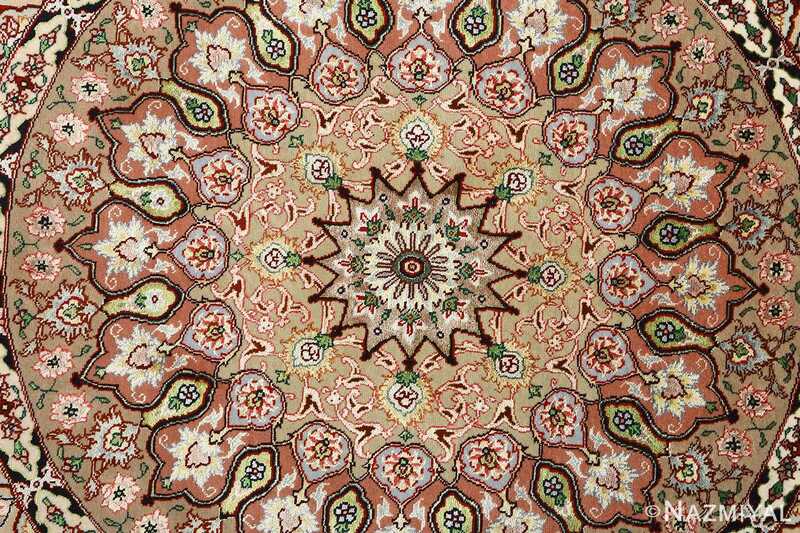 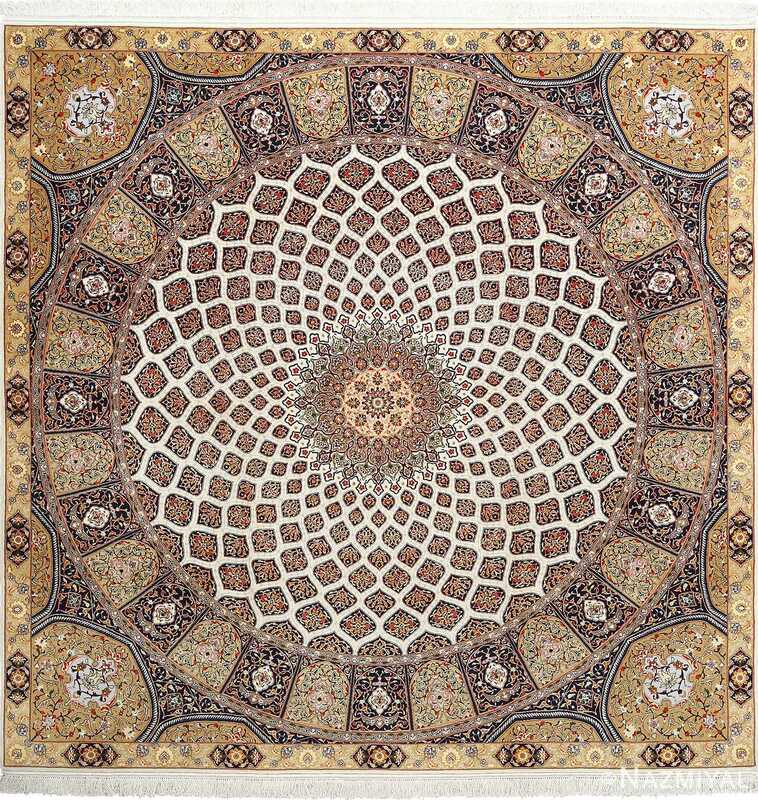 The central blossom at the heart of the Persian rug creates a kaleidoscopic effect, grounding and unifying the work without taking away from any of the individual colors or relationships present between different points of contact.